Yippee, hooray, a new restaurant opened Wednesday! On Wednesday, September 6th, Jordan Chops officially opened his doors in downtown Francesville. Many may remember Jordan from his food truck which visited each Thursday in July. 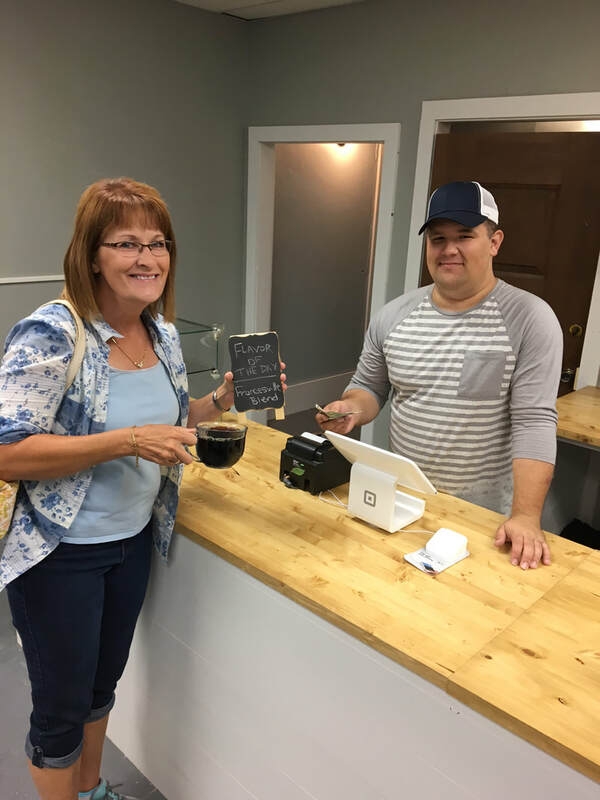 Jordan and his wife, Brittney just recently purchased a home in Francesville, and moved here with their two small children anticipating the opening of their restaurant, Clyde’s Coffee and Eatery. The restaurant is open M-F at 7 a.m. serving breakfast till 10:30 a.m, followed by lunch from 11 a.m till 3 p.m.. The restaurant will be open Saturdays for breakfast only, featuring a breakfast buffet from 7-11. Weekdays, the lunch menu will include daily specials, a soup of the week, sandwiches, flatbread pizzas, and a salad bar. Clyde’s will feature a coffee flavor of the day along with Clydes Blend which is a medium roast. One flavor choice will often include a Francesville Blend, which is a chocolate, caramel, vanilla and nut flavor! Various syrups to add to the coffee will be offered. Smoothies, frappes, iced coffees, teas, iced or hot are available in various flavors as well. Clyde’s Coffee and Eatery is located at 106 E. Montgomery in the heart of Francesville. Most people in Francesville may still refer to this as the Getz’s building that housed Getz Plumbing & Appliances for decades. Most recently it was the location of the Adapt-A-Soft business. For those who know the history of Francesville, they will tell you that the original Sullivan’s Drug Store opened for business there in 1937. This property is actually two plots. Just east of the original Sullivan’s Drug Store was the Nolan Grocery. A fire started in the Nolan Grocery on Christmas December of 1944. Since structures at that time were made of wood, the fire, along with freezing water to put out the flames, badly damaged portions of all buildings on that block, including a Shell Gas Station! Sullivans moved their business across the street where Fagens Pharmacy just recently closed their doors. In most cases, the buildings were rebuilt with the current brick and mortar that exists today. 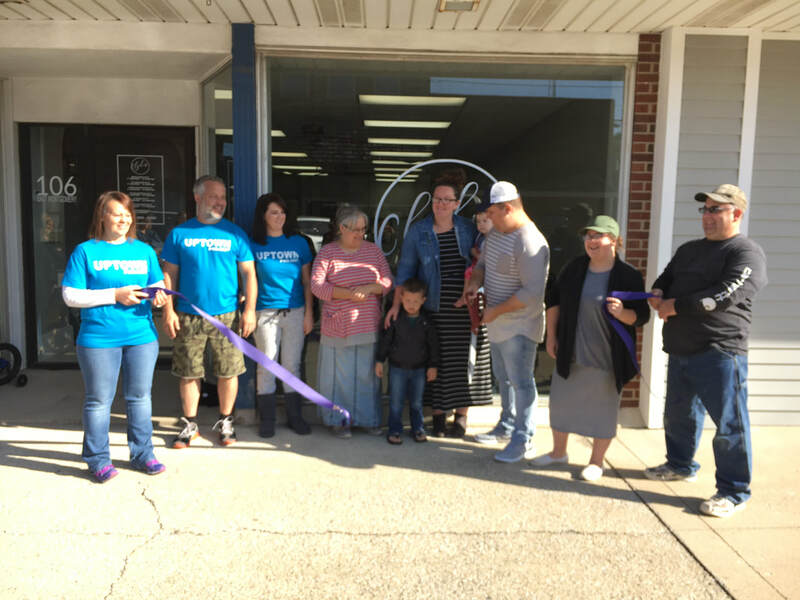 Jordan, his wife, along with his parents, Jimmy and Kimberly Chops, and Jordan’s sister, Kaitlin Chops have been remodeling all summer for the opening of Clyde’s Coffee and Eatery. This is truly a family run business! The business is named after Jordan’s grandfather, Clyde Chops who owned a food trailer in Fair Oaks. What better place to honor his grandfather’s name, but in friendly Francesville! Jordan invites everyone to his open house on Friday night of the Fall Festival, September 14th from 5pm-7pm. Let’s rally around all our businesses in town, so no more close and we can keep Clyde’s door open and all our businesses thriving for decades to come!